TPO "Novokakhovsky Electromechanical Plant" offers power TM-25/10(6)/0,4 transformers; TM-40/10(6)/0,4; TM-63/10(6)/0,4; TM-100/10(6)/0,4; TM-160/10(6)/0,4; TM-250/10(6)/0,4; TM-400/10(6)/0,4; TM-630/10(6)/0,4; TM-1000/10(6)/0,4. TPO "Novokakhovsky Electromechanical Plant" offers transformer substations of Kioskovye kVA, deadlock with cable input of KTPN-25, KTPN-40 of kVA, KTPN-63 of kVA, KTPN-100 of kVA, KTPN-160 of kVA, KTPN-250 of kVA, KTPN-400 of kVA, KTPN-630 of kVA. TPO "Novokakhovsky Electromechanical Plant" offers transformer substations For city networks with cable input of KTPGS-250 of kVA, KTPGS-400 of kVA, KTPGS-630 of kVA, 2KTPGS-250 of kVA, 2KTPGS-400 of kVA, 2KTPGS-630 of kVA. TPO "Novokakhovsky Electromechanical Plant" offers transformer substations of Kioskovye kVA, deadlock with air input of KTPZ-25, KTPZ-40 of kVA, KTPZ-63 of kVA, KTPZ-100 of kVA, KTPZ-160 of kVA, KTPZ-250 of kVA, KTPZ-400 of kVA, KTPZ-630 of kVA. 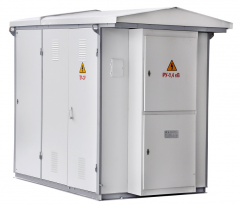 TPO "Novokakhovsky Electromechanical Plant" offers transformer substations: Complete transformer substations (mast) KTPM-25 of kVA, KTPM-40 of kVA, KTPM-63 of kVA, KTPM-100 of kVA, KTPM-160 of kVA, KTPM-250 of kVA, KTPM-400 of kVA. 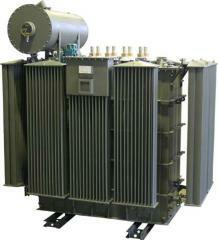 Unbelievable price on Power transformers in Novaja kakhovka (Ukraine) company Novokahovskij Elektromehanicheskij Zavod, TPO. Wide choice of quality products at affordable prices.